Sometimes getting pissed off, horny or greedy is truly spiritual. It is spiritual because, no matter what the holy men, the holy books or the holy rollers tell us, we are humans having a human experience. This entails the experience of emotion of inner heat, of desire and of pain that reaches the feelings and the body. 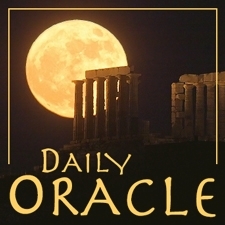 Today’s Oracle takes us to the Aquarius weekly for March 14, 2002. Sometimes getting pissed off, horny or greedy is truly spiritual. It is spiritual because, no matter what the holy men, the holy books or the holy rollers tell us, we are humans having a human experience. This entails the experience of emotion of inner heat, of desire and of pain that reaches the feelings and the body. You may at the moment be angry about being angry about something that turns out to not to be based in truth; but that is all the more reason to acknowledge your feelings. Denial is curiously human, but indulging it does not help us become more so.